Suresh Chandra, MD He has authored more than 165 publications and ten book chapters. He is also a Council Member of Vision 2020: The Right to Sight, a global joint initiative of the World Health Organization (WHO) and the International Agency for the Prevention of Blindness (IAPB). Dr. Chandra received the American Academy of Ophthalmology Outstanding Humanitarian Service Award in 1996, as well as several other academic awards. Reena Chandra Rajpal is the Director of Development for the School of Nursing at the University of Wisconsin-Madison and a member of the Medical Advancement Group at the University of Wisconsin Foundation. She was the Director of Development for 6 years for Combat Blindness International (CBI). Reena joined the Board of Directors in 2013. Gordon Derzon served as the CEO of the University of Wisconsin Hospital and Clinics for 25 years. He is currently an emeritus clinical professor at the University of Wisconsin. Gordon joined the CBI Board of Directors in 2002. Anant Baliga is the Director of Business Development at Symphony Corporation where he is responsible for the sales and business development success of the company. Prior to Symphony Corporation he worked with SSI Technologies. Anant joined the CBI Board of Directors in 2013. 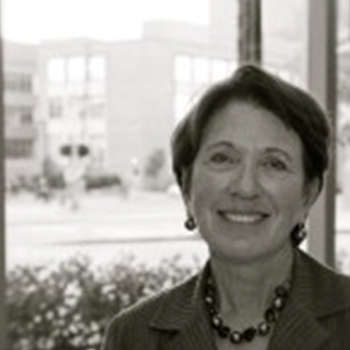 Susan Axelrod earned her MBA in finance from the University of Wisconsin and worked as an investment advisor and financial planner serving individuals and organizations for more than 25 years. She has been a volunteer for CBI for several years and joined the Board of Directors in 2013. Michael Altaweel completed medical school in Canada and came to the University of Wisconsin in 1998 to complete a two-year fellowship in diseases and surgery of the retina and vitreous. He then joined the UW Department of Ophthalmology and Visual Sciences as an assistant professor. Mike joined the CBI Board of Directors in 2002. Choton Basu is a Professor of Entrepreneurship at the University of Wisconsin-Whitewater. He works closely with startup companies and consults on business innovation. His passion resides in social entrepreneurship, and he specializes in technology-enabled projects. Choton is also the founder and CEO of Slipstream, LLC. 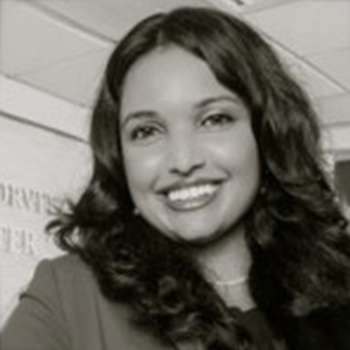 Luxme Hariharan is a Pediatric Ophthalmologist who completed her Medical Degree at the University of Wisconsin and her MPH at Johns Hopkins Bloomberg School of Public Health. She has completed a number of fellowships in Pediatric Ophthalmology and her goal is to advocate for children worldwide and to create effective programs & policies to help prevent avoidable causes of childhood blindness both locally and abroad. Peter Holm, MD is a General Ophthalmologist and the senior member of the Chippewa Valley Eye Clinic, Chippewa Falls, W.I.. He currently practices Ophthalmology in Northern Wisconsin. Peter has been involved in surgical missions in India and the Philippines with CBI, and St. Lucia. Peter joined the CBI Board of Directors in 2013. Rick Langer is a partner at Michael Best & Friedrich, LLP, where he concentrates his practice in the areas of estate planning, estate administration, trusts and marital property. He has extensive teaching experience as a lecturer to the University of Wisconsin Law School and various bar organizations. A founding member of the CBI board from 1984-2002, Rick rejoined the CBI Board of Directors in 2008. Keshav Rajpal is the Principal of Bio-Mass Solutions. He was a management consultant for nine years in the high tech, media, entertainment and communications practice for Accenture, an internationally-known consulting firm. Keshav joined the CBI Board of Directors in 2004. Margaret is a native Wisconsinite and a graduate of the University of Wisconsin-Madison with a double major in English and Spanish. During her time at UW-Madison, she interned abroad in Peru and developed a passion for working internationally. Margaret joined Combat Blindness International in 2018 as an Office Manager and enjoys working to increase access to eye care in her Madison community as well as abroad.